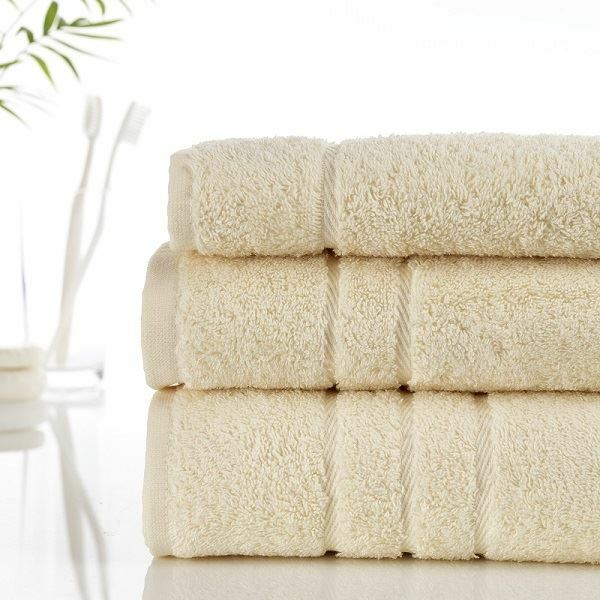 What's more our bath sheets have 3 header bars, bath towels 2 bars and hand towels 1 bar, to make identification easy. They are colourfast up to 60c, quick to dry and great value for money. Made in Turkey exclusively for Out of Eden. Quantity discount when you buy 20 or more of one size. Facecloths are a good size and excellent quality. Wash well and love the deep cream colour. Really pleased with the look and feel of these towels, hopefully they will continue to feel good after plentiful washes. Lovely and thick,good quality and nice colour.